I came across this yard and started to take a photograph when the owner came out and asked me what I was doing. She was very pleasant and asked me if I wouldn't mind coming back tomorrow because she was having the grass cut and it would look so much better. I obliged. 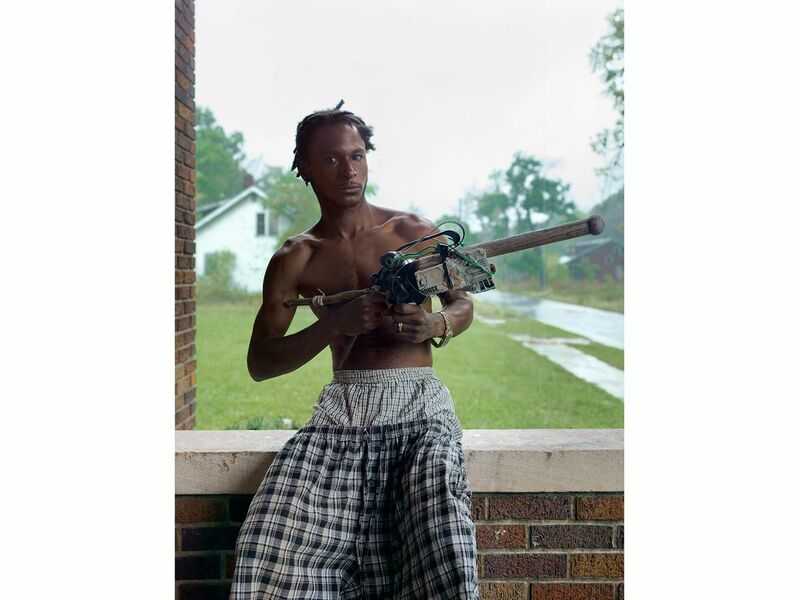 The only kind of weapon he believes people should be allowed to carry in Detroit, or anywhere for that matter. Elders Langford and Nording are members of the Church of Jesus Christ of Latter-Day Saints. 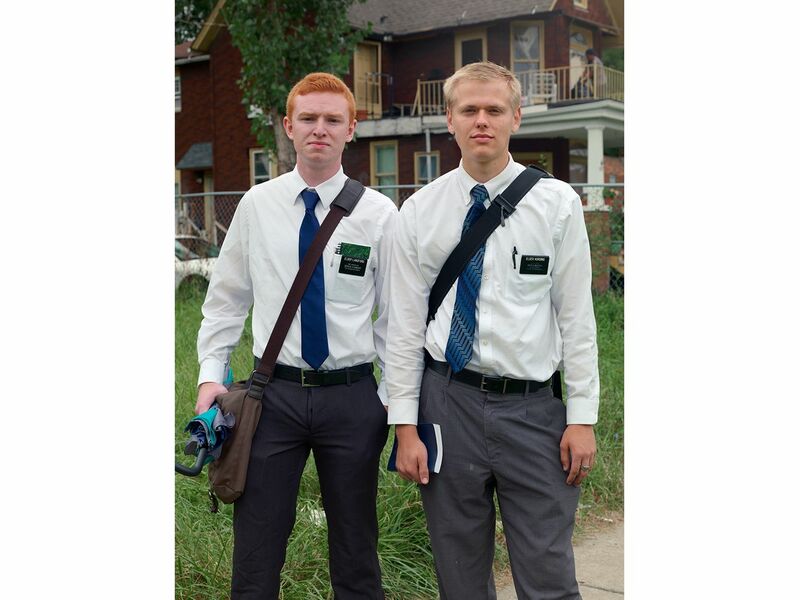 They have committed to working in Detroit for a two year period canvassing neighborhoods and spreading the word of the Mormon church. 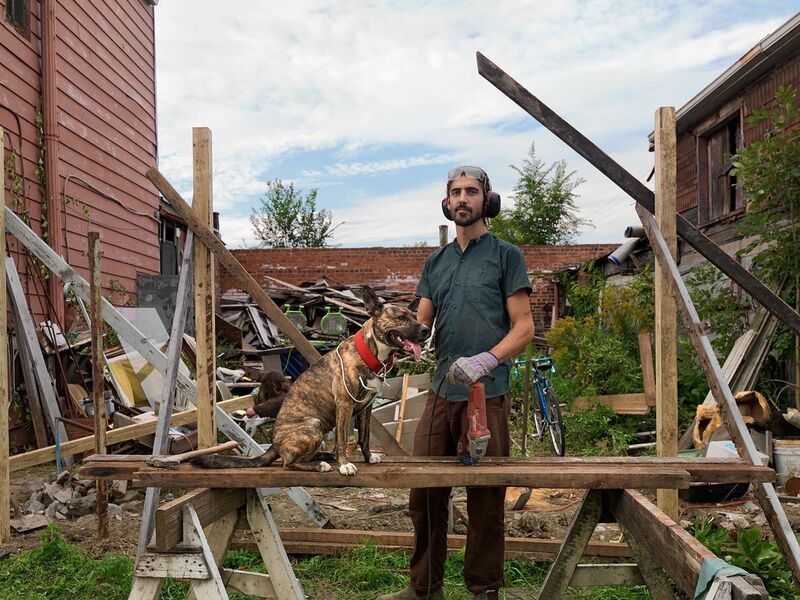 Ben moved to Detroit a year ago after living in Brooklyn for seven years. He got tired of paying high rents for 500 square foot apartments and with his girlfriend bought a building on Chene Street for $1000.00. They're in the process of fixing it up and plan to move in before winter. It's challenging, but he said the satisfaction of improving something you own and investing in yourself is really a great feeling. 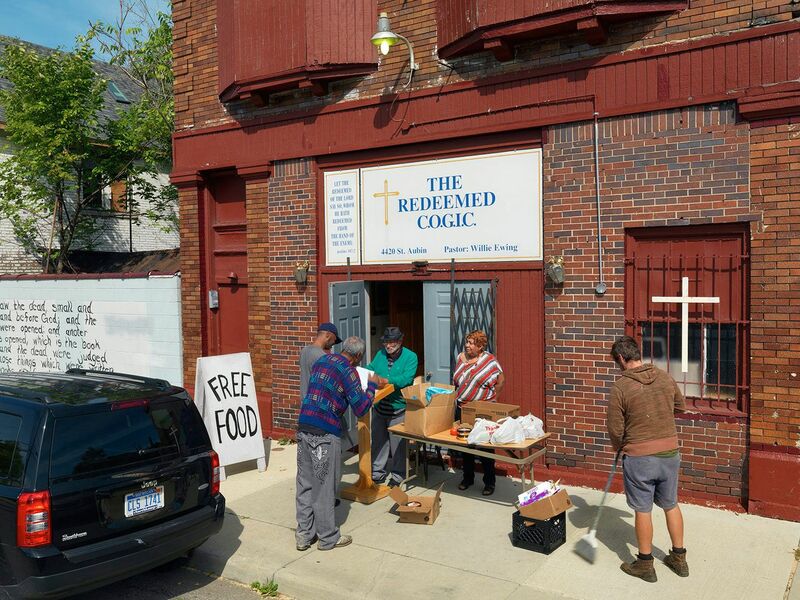 A pastor gives away free food for anyone who walks by. He was also asking for donations after thieves broke into his church and stole all of his musical equipment. After 35 years at the same location, he is undeterred and promises not to leave the community. Kristal is a victim of violent gun crimes. She lost a brother and a nephew within two months of each other, but her faith has not wavered. I find it inspiring that in the face of all this tragedy and pain Kristal is still a very positive person. She has a strong family support group but she is the family matriarch and the one who keeps it all together. Billy is probably the poorest person I know but I couldn't help but notice this beautiful little decoration he placed on his door. I think it says a lot about overcoming adversity and living life happily. Robert, an 85 year old retired interior decorator was afraid that an empty lot behind his house was going to be filled with trash so he began creating his imaginary "Polka Dot Garden" to protect the property. It's a place filled with fanciful sculpture and flowering plants that the neighborhood can enjoy. Mike, an Albanian Serb, has owned and operated this business for 35 years. Once a full service station with gas pumps and mechanic bays, he now barely hangs on selling and servicing used lawn mowers. Everyone left he said, but I'll be here until I die, and besides, where else am I going to go anyway? Kat just recently moved into this abandoned house just around the corner from her current residence which was filling up with people she takes in who are homeless or are in need of shelter. She's in the process of trying to purchase it in order to continue her ongoing mission to improve the neighborhood. I've known Kat now for three years and I've never met someone who is as devoted to others as she is. Jerome was waiting for a friend, and then off to do some partying. Shawn has been living in this abandoned house for the past five years without electricity or heat. He relies heavily on church donations and the Capuchin Brothers Soup Kitchen for meals. A group of volunteer's who either work for or are contract employees of General Motors clean up a stretch of Junction Avenue where children walk to go to school. Established for years, this abandoned piece of land is transformed into a local neighborhood park that serves as a community gathering spot for local residents. Apparently these guys were as interested in me as I was of them. A Group of residents from Goldengate Street meet in the "brick house" to discuss preparations for the upcoming winter. An annual free suit giveaway sponsored by the Covenant House Academy of Southwest Detroit. Hundreds of brand new suits were donated by local retailers for men who need a suit for job interviews, special occasions, or just looking sharp.